Hitman Absolution follows the worldâ€™s ultimate assassin, Agent 47, as he takes on his most dangerous contract to date. Betrayed by those he once trusted and hunted by the police, he suddenly finds himself at the center of a dark conspiracy and must embark on a personal journey through a corrupt and twisted world. Showcasing IO Interactive new proprietary Glacier 2 technology, the game has been built from the ground up. 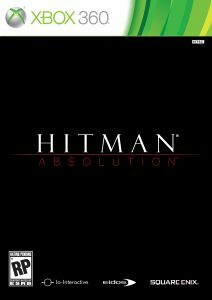 Boasting a cinematic story, distinctive art direction and highly original game design, Hitman Absolution combines much-loved classic gameplay with completely new features never seen before in the Hitman franchise. CHOICE – One of the key elements to all Hitman games is freedom of choice. With the introduction of IO interactive Glacier2 tech, this is realized this like never before, giving players increased options and greater playability. AI – When building Glacier 2, IO Interactive focused on developing a comprehensive intelligence spectrum â€“ something which sets Hitman: Absolution apart from other games. IO has replaced the trial and error gameplay giving the player much clearer feedback to their choices without penalizing them for exploration. INSTINCT – A new feature in Hitman: Absolution is Instinct. This manifests itself in a number of different ways and allows the player to see the world through the eyes of Agent 47. Itâ€™s a dynamic economy that is earned by executing classic Hitman gameplay moves. DISGUISE – Disguises have always been a central feature in the Hitman universe, in Hitman: Absolution IO Interactive has taken this feature to the next level with a huge variety of disguises which players can take, not only to blend in visually but also to impersonate a victim. LIVING BREATHING WORLD – All of the features in Hitman: Absolution is underpinned by a world of richly detailed environments and interesting characters â€“ all with a signature dark IO twist. The power of the Glacier 2 has allowed an unparalleled level of human behavior and visual fidelity which brings Hitman: Absolution to life.